Kelly Irvin and Free Books! Can a close-knit group of Amish friends help a new widow and mother find her way back to hope, joy, and even the possibility of love? Congratulations! We'll email your book right out to you. I encourage readers to keep commenting and/or subscribe at right (above my list of books) in order to participate in future book give-aways! Subscribers are entered a second time when they comment. And now let's chat with novelist Kelly Irvin, author of the Amish contemporary romance, Upon a Spring Breeze (Zondervan, April 2017). 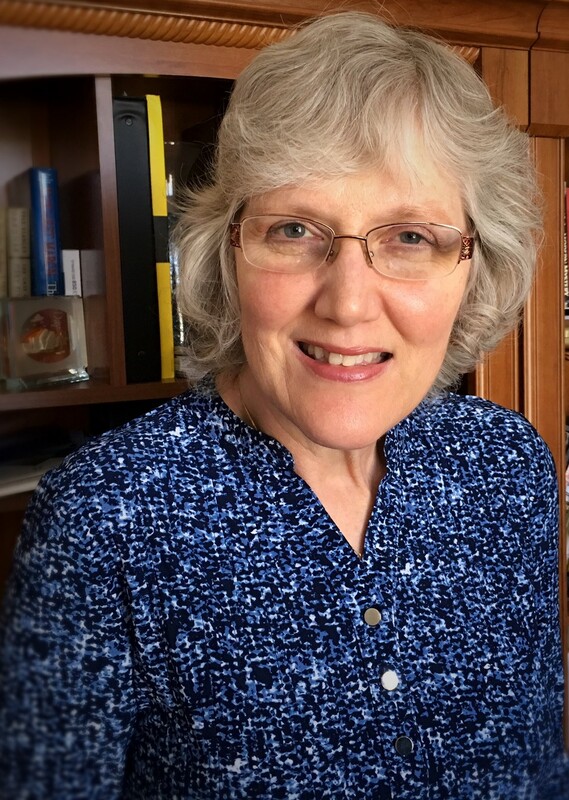 Two-time ACFW Carol Award finalist Kelly Irvin is the author of the critically acclaimed Amish of Bee County, Bliss Creek Amish, and New Hope Amish series. 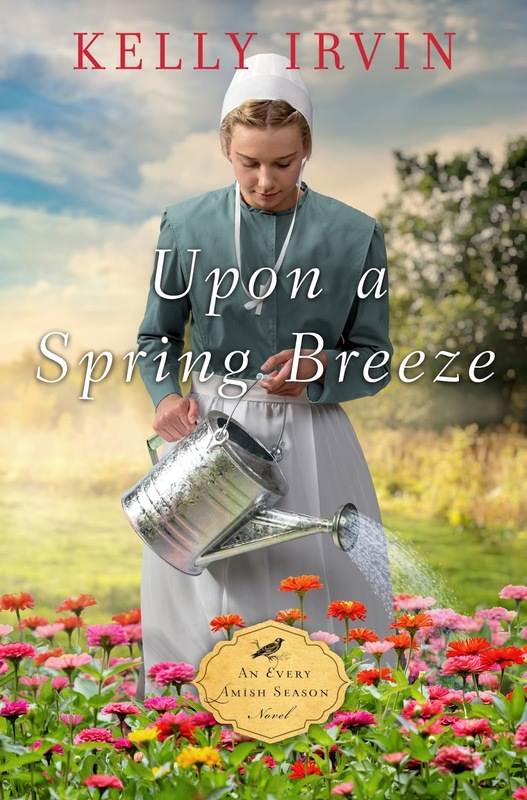 Her latest work is Upon a Spring Breeze, the first novel in the four-book series Every Amish Season. 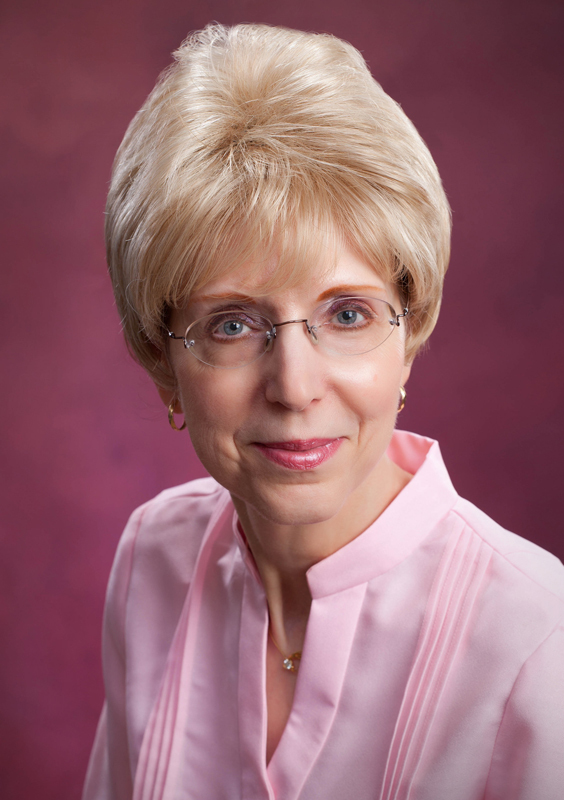 Her work has also appeared in two Amish anthologies, An Amish Market and An Amish Christmas. Kelly is a retired newspaper reporter and public relations professional who lives with her husband in Texas. They have two children, two grandchildren, and two cats. I have a phobia of snakes. If I found one in my house, I would have to move. Oh, yes. I'm with you on that. I've mentioned here before that, in my last house, I once found a very large, shed snake skin in the basement. No snake. WHERE was he? I shudder just remembering it. Please tell us a bit more about the plot of Upon a Spring Breeze. What is it about Bess that will make your readers care about her? Readers will relate to Bess’s struggle to rearrange her life to fit her new circumstances. She never saw it coming, and now she has to trust God that her life will still have meaning. What kind of brainstorming do you do at the beginning of your novels? With Amish romances, I start with my heroine and what obstacles she faces in life and in her spiritual walk. I do the same with the hero. What keeps them apart and what brings them together? I’m a seat-of-the-pants writer so I don’t outline. I’m always amazed at what happens to my characters as I write the story. The backstory frequently writes itself. I love it when they do something that surprises me. I have a lot of respect for seat-of-the-pants authors. I'd wander around aimlessly if I tried that. People might be surprised to know I don’t read a lot of straight romance. I’m a huge romantic suspense and mystery reader. One of my favorite new-to-me authors is Laurie R. King, who writes the Mary Russell—Sherlock Holmes series in which Sherlock is married. I recently finished The God of the Hive and loved it. I love how she’s remained true to the Sir Conan Doyle character and style while adding this strong, intelligent, and astute female character to the mix. Much more fun to read, I think. I absolutely loved the Sherlock series on BBC. Watson's wife, Mary, was a sharp cookie in that version. I just finished a novella for the Amish Heirloom collection that will release in April 2018. I’m about halfway through the third book in the Every Amish Season series. It’s called Through the Autumn Air. The second book, Beneath the Summer Sun, is in line-edits right now. Lots of balls in the air! I’m writing a series in which the heroine in each book will be from an older generation (mother, grandmother, great-grandmother, etc.) How do you feel about featuring older heroines? Does their age matter to you? Thanks, Kelly, for visiting and telling us about yourself and your book. Readers, Kelly has offered to give away a signed copy of her book next week. To enter, leave a comment below in answer to Kelly's question, above. "Please enter me" won't get you entered. Remember that subscribers are entered an additional time in each drawing. The drawing is done by email, so leave your email address, like so: trish[at]trishperry[dot]com. 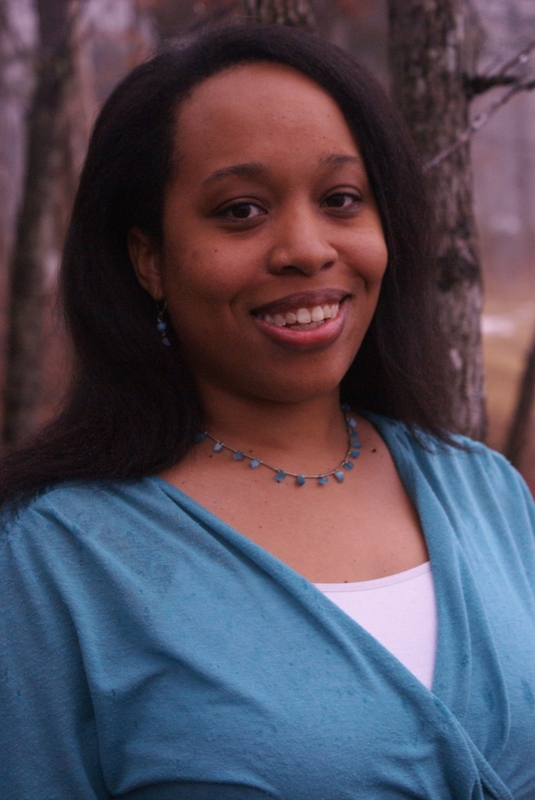 Toni Shiloh and Free Books! Can Delaney Jones find love with army soldier Luke Robinson? 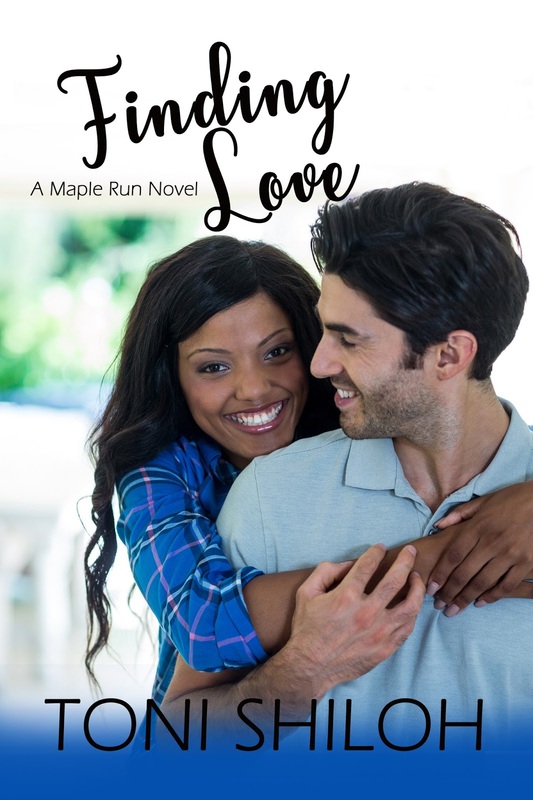 And now let's chat with novelist Toni Shiloh, author of the Christian contemporary romance, Finding Love (Celebrate Lit, June 2017). I don’t like coffee and fill my mug with black tea, milk, and sugar. You sound like a Brit, Toni! Please tell us a bit more about the plot of Finding Love. What is it about Delaney that will make your readers care about her? Delaney Jones is a widow with two twin boys. As aggravating as she was in book one, Buying Love, you get to take a deeper look at her story and learn how the death of her husband changed her. Honestly, it depends on the book. With Finding Love, Delaney told me her deepest fear: falling in love with another military man. My brain took over from there. The last book I read was Looking Glass Lies, by Varina Denman. It is such a poignant tale of a woman learning to love herself and her looks that I can’t help but recommend it. We all struggle with self-image, some more than others. This book will help you see yourself in a new light. I’m working on a Christmas novella. I’m so excited to be writing. It seems like it’s been awhile, lol. Once a book is finished, you edit, market, interact with readers (probably my fave next to writing). So, I’m excited to be writing a new story again. Everywhere! Lol, I’ll be more specific. I also blog at Putting on the New, Heart”wings", Diversity Between the Pages and my own: tonishiloh.weebly.com/blog. Have you ever had a traumatic experiencing that froze you and you swore to yourself, you wouldn’t put yourself in that position again? If so, did you or how did you overcome that fear? Thanks, Toni, for visiting and telling us about yourself and your book. Readers, Toni has offered to give away an e-copy of her book next week. To enter, leave a comment below in answer to Toni's question, above. "Please enter me" won't get you entered. Remember that subscribers are entered an additional time in each drawing. The drawing is done by email, so leave your email address, like so: trish[at]trishperry[dot]com. Melody Carlson and Free Books! Nicole Anderson accepts a dream job managing an art gallery and quickly discovers the nightmares involved, but the promise of romance combined with the beauty of Savannah entice her to persevere. 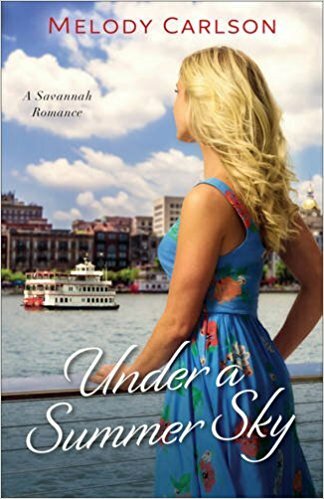 And now let's chat with novelist Melody Carlson, author of the contemporary romance, Under a Summer Sky (Revell, June 2017). Tell us about yourself, Melody. I’m probably one of the most prolific writers (more than 200 books published) but it wasn’t anything I set out to do—I simply enjoy writing and do it quickly. I’m mostly known for teen and women’s fiction and like to write realistic stories with hope. I live with my husband of 39 years in Oregon and enjoy the ‘great outdoors.’ We have two grown sons and a thirteen year old granddaughter, and a yellow lab dog named Audrey. I’m restoring a 1963 travel trailer—just for fun! What fun! I hope travels are in your future, then. Please tell us a bit more about the plot of Under a Summer Sky. Nicole is an art teacher who feels ‘stuck’ in Seattle. When a family friend invites her to spend the summer managing a Savannah art gallery and house-sitting in a gorgeous home, Nicole bites. Her hope is to work in lovely place and earn some money, pursue her own art dreams, and to relax in luxury. Unfortunately she soon discovers some obstacles to her carefree summer plans, including a resentful gallery employee who challenges Nicole’s every move, a pair of brothers suddenly vying for her attention, and a ‘squatter’ in her house. But her attraction to this beautiful and historic old town, combined with the promise of a true romance keep Nicole from giving up. What is it about Nicole that will make your readers care about her? In many ways Nicole is just an ‘ordinary girl.’ An art teacher and frustrated artist, Nicole has a big heart, but she’s recovering from a bad relationship and somewhat disillusioned with her life. She’s ripe for a fresh start in a new and interesting place . . . and ready for a truly good guy. I always start with a character—and then I give them a problem. After that I add a setting, and then I just leap into writing, discovering the story along the way. I’ve read several novels lately that I can’t recommend, but last year I read Take Me With You by Catherine Ryan Hyde, and I’ve recommended that delightful read to lots of people. I absolutely loved this book! I’m actually just beginning my annual Christmas novella (I think it’s about #16 and won’t be out until 2018). This year’s offering is called The Christmas Blessing. Where do you usually find your books? Thanks, Melody, for visiting and telling us about yourself and your book. Readers, Melody has offered to give away a signed copy of her book next week. To enter, leave a comment below in answer to Melody's question, above. "Please enter me" won't get you entered. Remember that subscribers are entered an additional time in each drawing. The drawing is done by email, so leave your email address, like so: trish[at]trishperry[dot]com. Amanda Cabot and Free Books! After her plans for the future are shattered by the revelation that her fiancé has married another, a young woman finds both love and danger in the Texas Hill Country as she and the sheriff struggle to unravel the town’s secrets and unmask a murderer. Congratulations! I'll forward your email address to Ane, and we'll get your book right out to you. I encourage readers to keep commenting and/or subscribe at right (above my list of books) in order to participate in future book give-aways! Subscribers are entered a second time when they comment. 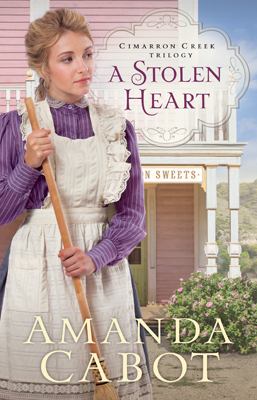 And now let's meet novelist Amanda Cabot, author of the historical romance, A Stolen Heart (Revell, March 2017). 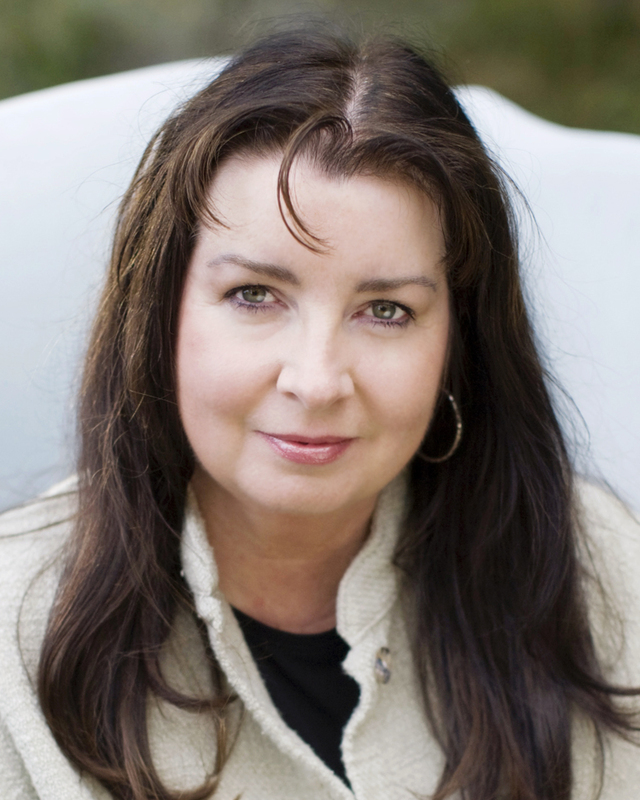 Amanda Cabot is the bestselling author of more than thirty novels including the Texas Dreams trilogy, the Westward Winds series, the Texas Crossroad trilogy, and Christmas Roses. A former director of Information Technology, she has written everything from technical books and articles for IT professionals to mysteries for teenagers and romances for all ages. Amanda is delighted to now be a fulltime writer of Christian romances, living happily ever after with her husband in Wyoming. I enjoy sewing and make most of my own clothes as well as dressing dolls for the local women’s shelter. How kind that you use your talent for the shelter. Please tell us a bit more about the plot of A Stolen Heart. From afar, Cimarron Creek seems like an idyllic town tucked in the Texas Hill Country. But when former schoolteacher Lydia Crawford steps onto its dusty streets in 1880, she finds a town with a deep-seated resentment of Northerners—like her. Lydia won’t let that get her down, though. All will be well when she’s reunited with her fiancé. But when she discovers he has disappeared—and that he left behind a pregnant wife—Lydia is at a loss about what to do next. The handsome sheriff urges her to trust him, but can she trust anyone in this town where secrets are as prevalent as bluebonnets in spring? What is it about Lydia that will make your readers care about her? Lydia’s an ordinary woman caught in an extraordinary situation, and – like most women – she learns that she’s stronger than she realized. I start by choosing a setting – in this case the Texas Hill Country – then ask myself what kind of people would live there and what problems would they encounter. I just finished Irene Hannon’s Sandpiper Cove and absolutely loved it. It’s a story that tugged on my heartstrings. The hero’s situation is almost heartbreaking, and even though I knew she’d give him a happy ending, I wasn’t sure how that would happen. I’m currently writing the first draft (my least favorite part of the writing process) of A Tender Hope, the third of the Cimarron Creek books. Even though I don’t enjoy writing first drafts, I’m excited about this book, because this is where all the plot points are resolved and the last of Cimarron Creek’s secrets are revealed. What is the most important thing you look for in an historical romance? Thanks, Amanda, for visiting and telling us about yourself and your book. Readers, Amanda has offered to give away a signed copy of her book next week. To enter, leave a comment below in answer to Amanda's question, above. "Please enter me" won't get you entered. Remember that subscribers are entered an additional time in each drawing. The drawing is done by email, so leave your email address, like so: trish[at]trishperry[dot]com.